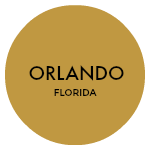 Dr. Phillips is a luxurious area in the southwest region of Orlando, perfectly nestled between the Sand Lake Chain of Lakes and the Butler Chain of Lakes. Known for its award-winning schools, local hot spot - “Restaurant Row”, and gorgeous lakeside properties, Dr. Phillips real estate is among Central Florida’s greatest treasures. Dr. Phillips boasts spectacular waterfront homes, gated communities, beautiful neighborhoods, and lavish luxury and estate homes. The Dr. Phillips recently came in a #26 on the Best Places to Live in America by Time's Money Magazine. Its close proximity to the theme parks and its high rate of job growth helped it earn the title.